1. Write a thank you card to someone at school. 2. Practise writing your numbers zero to ten. You could write them in sand/salt/shaving foam/bubbles in the bath etc. 3. 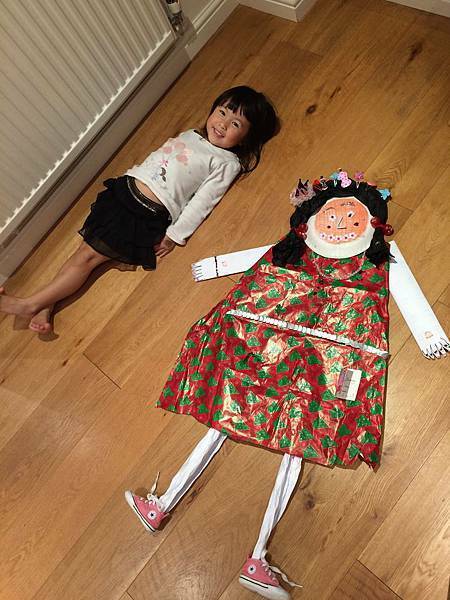 Make a model using junk modelling materials and take a photo for the homework book. Wednesday - show and tell - This is the day that your child can bring in an item of interest from home to show the class. We discourage toys but we encourage things your child has made at home, photos of activities your child has been involved in or photos of family and friends, brouchures from day trips or souvenirs bought. Friday - talents assembly - If your child is a member of any clubs outside of school, you can bring in any certificates they may receive. There are then presented to your child in our talents assembly. This is also a time in which we celebrate the week's birthdays. If it is your child's birthday then they will be sung 'happy birthday' to in talents assembly and will blow out the candles on a pretend cake. Time out - If a child misbehaves, they have time out. This is when they are sat on a chair with a three minute timer, they have to reflect on their behaviour and think about the class rules. We then return to the child and ask them why they were on time out, ask them how they can improve their behaviour and they are asked to apologise for their behaviour. Traffic lights - We have a traffic light behaviour system. All children are put on the green in the morning, if they break a class rule, their name is moved down to yellow and they have time out. If they break a rule again, then their names moves to red for which they miss some more of their activity time. They do however have a chance to get themselves back to green if their behaviour improves over the course of the day. The star - In addition to the traffic light system, if a child does something exceptional their name will be moved to the shining silver star. They are then rewarded with a star sticker and they can be the very first to line up at home time. Smiley faces/10 stars - If a child does a lovely piece of work, tries hard during group work or carpet time or demonstrates an act of kindness or show nice manners, they receive a smiley face or a star next to their name on our chart, once they have received ten smiley faces or 10 stars, they can choose a reward. Lucky labels - another reward system in which a note is written on a sticky label and given to the child to wear. It will always start with 'Ask me....' this encourages adults around the school to ask the child what they have achieved! Star of the week - At some point throughout the year, each child will be nominated by staff as our class star of the week. This special person will then receive a certificate in Friday's talents assembly, this will be followed by a circle time in which the star of the week sits in the middle of the circle and each child is asked to say something nice about the star of the week. These comments are recorded. The star of the week will then be presented with a trophy and have their photo taken and laminated, this can then be taken home. WOW box - We will be introducing a 'Wow box', this is to learn of any achivements your child makes at home. This could be something as small as sleeping in their own bed for the first time or trying a new food. The wow box will be put outside the gate every drop off and collection time for you to post in any 'WOW' notes. These will then be shared with the class on a weekly basis and then inserted into your child's learning journey.